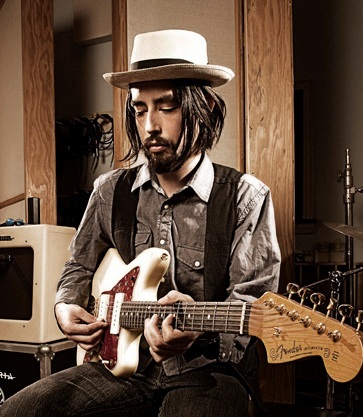 Jackie Greene is a musician’s musician dedicated to his craft. His style is a mixture of folk, bluegrass, country and roots rock that has drawn parallels to Bob Dylan and Bruce Springsteen. Greene began his career sitting with local bar bands near his hometown of Salinas, CA, while recording songs he composed in his makeshift studio. He quickly caught the attention of local label DIG Music who subsequently released his first album in 2002. In the decade since then, he’s released six studio records, toured with his band and is a member of Phil Lesh and Friends and Trigger Hippy. This remarkable musician continues to wow critics and win fans with his easy going style and incredible talent. We reached him at his home in Northern California to ask a few questions. GIK: You’ve been playing & writing music since you were a teenager, you’ve recorded 6 albums, been part of Phil Lesh and Friends since 2007, toured with some amazing legends and have been called “Americana’s best kept secret.” (See article) What are some of your favorite highlights? JG: Certainly playing with Phil is a big highlight for me. I’ve been lucky enough to meet and play with many other fantastic artists. Warren Haynes, the Allman Brothers, Derek and Susan to name a few. I just recently did a tour as an acoustic trio with Bob Weir and Chris Robinson. Some my fondest memories are of playing with Levon Helm up at his place in Woodstock. He was a true American treasure and I know his life and music will continue to be celebrated. GIK: What are you working on now and what have you worked on recently? JG: I’m working on a new album. Doing it mostly from my home studio. Also loads of touring and whatnot. GIK: You’re in the process of setting up a home studio. What is the most important part of your recording/writing process? JG: The writing process is a weird one. Most of the time, I’ll have the song completed before its ever recorded. Sometimes, the song becomes re-written during the tracking. It’s hard to say, but I think it’s wise to allow for whatever changes may arise. 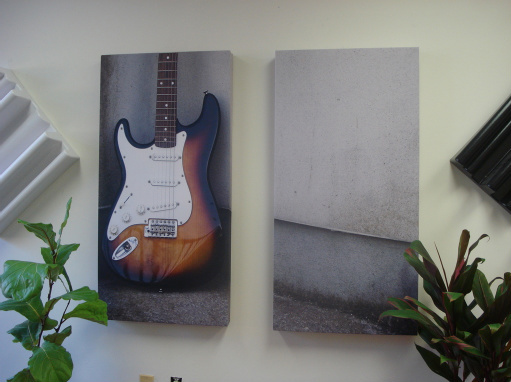 GIK: How has GIK Acoustics helped with your home studio? JG: So far so good. I’m dealing with a fairly large room that is serving as the control room. Dealing with reflection points and minimizing flutter is a big one. Very rarely is a room “control ready” without some sort of acoustical help. Mine just needed some extra help! GIK: What sort of advice or tips you would offer to up-and-coming recording artists or songwriters? JG: Keep at it. Play lots of gigs. Play weddings. Play coffee shops. There’s no gig too small.